Ever wanted to explore the lively markets and festivals of Mexico in search of authentic artisan finds, but don’t know where to start? Diane Powers’ Bazaar del Mundo Shops in Old Town – renowned itself for a vibrant selection of clothing and textiles from all over the world – will host author Sheri Brautigam for a signing of her new book, Textile Fiestas of Mexico: A Traveler’s Guide to Celebrations, Markets and Smart Shopping, on October 7, 12–3 p.m.
Brautigam fell in love with Mexican traditions and culture at 19 years old as a student in Mexico City, and has been following her passion ever since. After receiving an English Language Fellowship for Central Mexico to train English teachers in 2007, she began to document her travels throughout the country, while reveling in the beauty of traditional Mexican textiles, and amassing her own collection along the way. 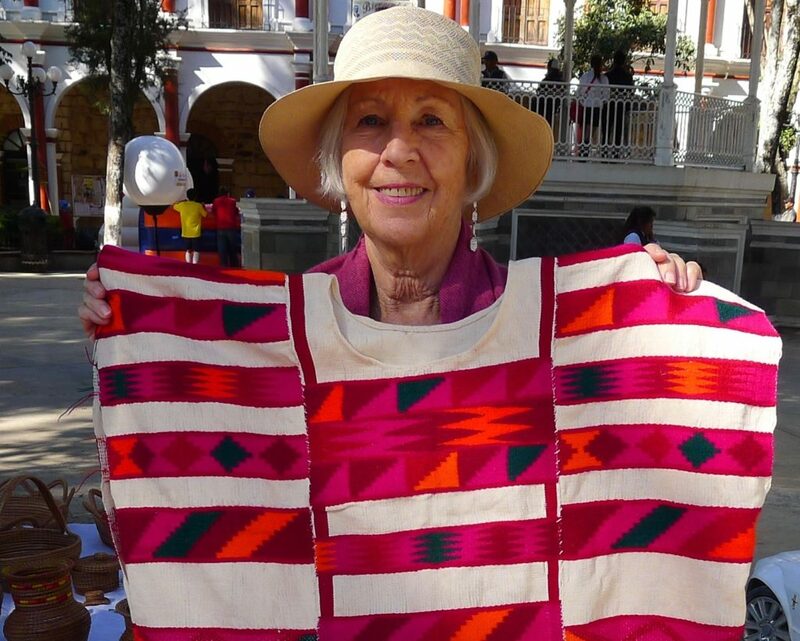 During the signing, Brautigam will show slides and discuss the clothing and textiles worn at celebrations in the many regions of Mexico, and the unique histories behind them. Light refreshments will be served as guests peruse a marketplace-like setting of the Mexican clothing and textiles offered at Bazaar del Mundo. Copies of Textile Fiestas of Mexico: A Traveler’s Guide to Celebrations, Markets and Smart Shopping will be available for purchase at Bazaar del Mundo for $24.95.